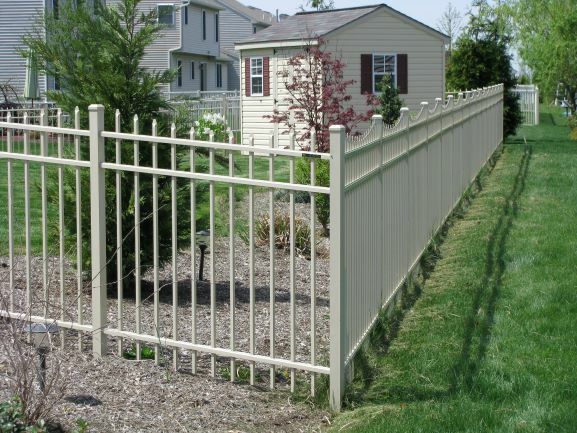 This 5’h Regis black 3233 3rail aluminum has a flush bottom, flat tops with alternating spears. 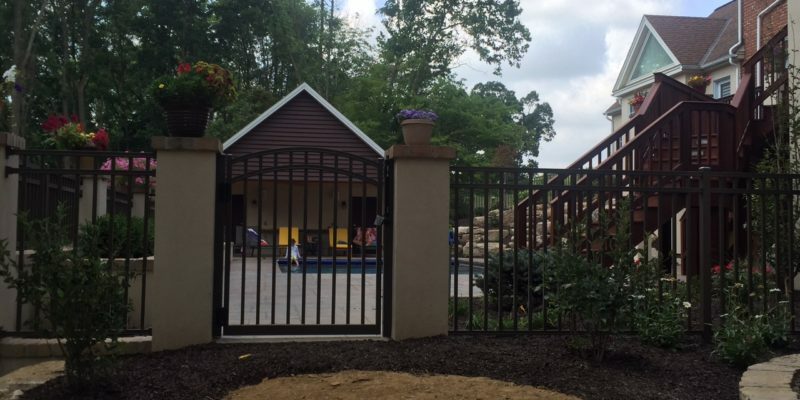 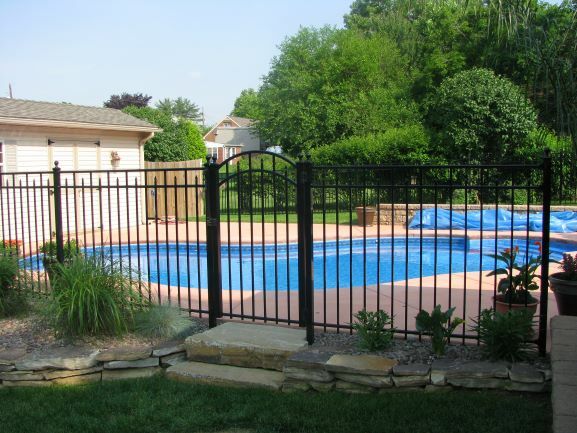 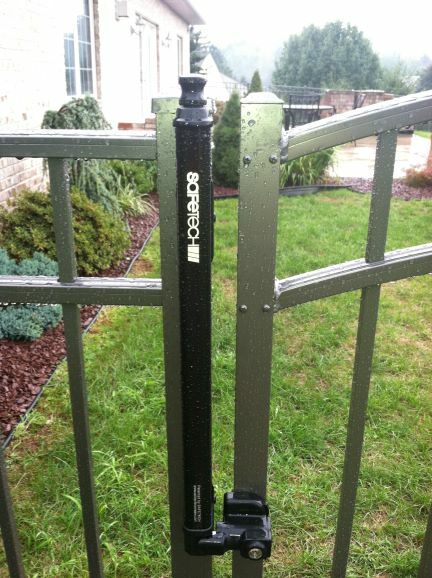 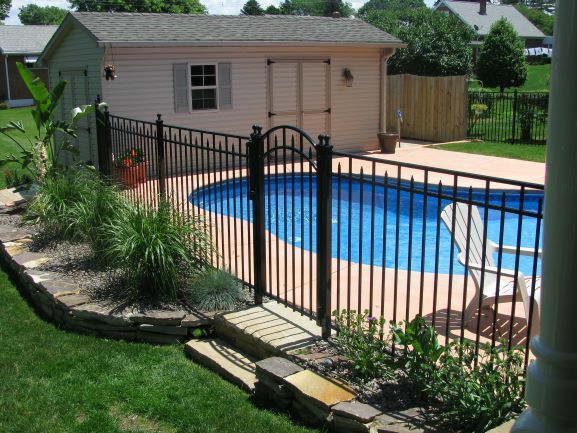 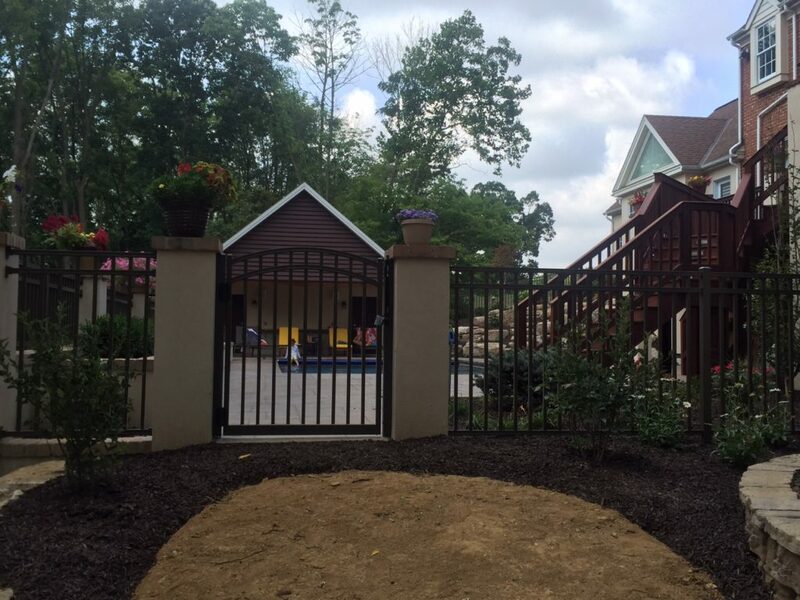 There is pool code compliant hardware, Brownstone posts 10’w double swing gate lockable latch. 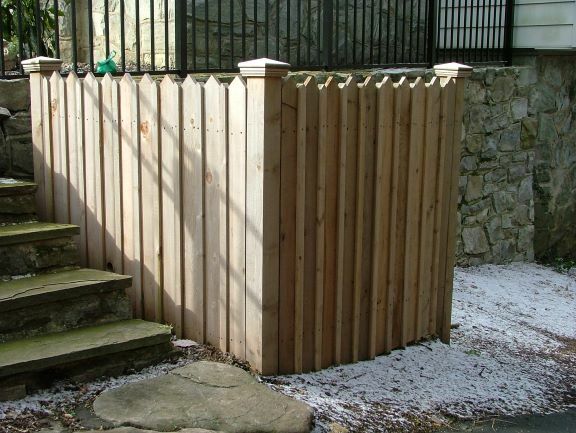 Cedar privacy fence using 1x4x6’h pickets, alternating with 1.5×1.5×6’h pickets. 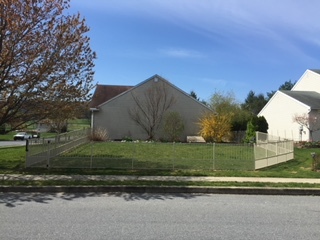 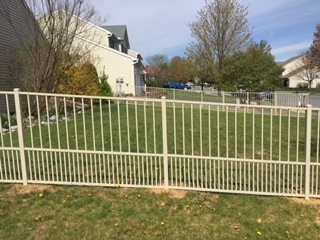 Fence has a 3 dimensional look of 4”x4” posts with pyramid caps. 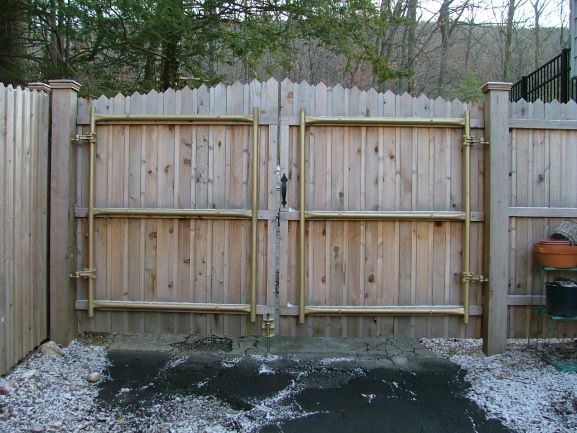 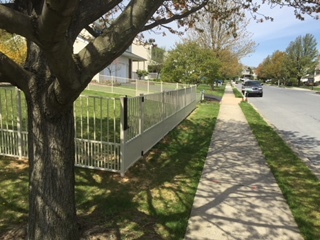 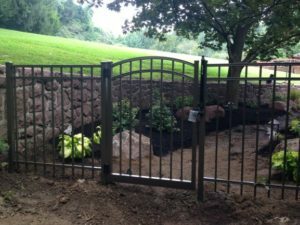 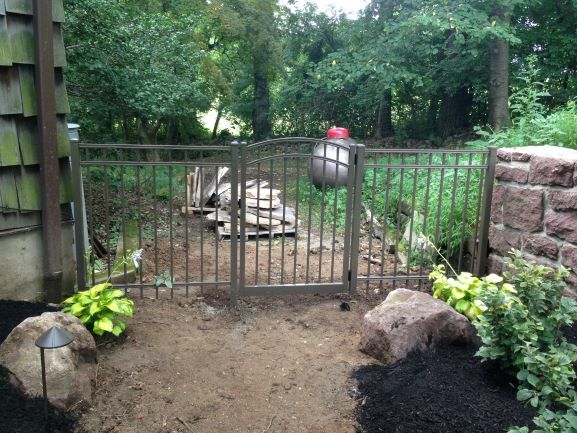 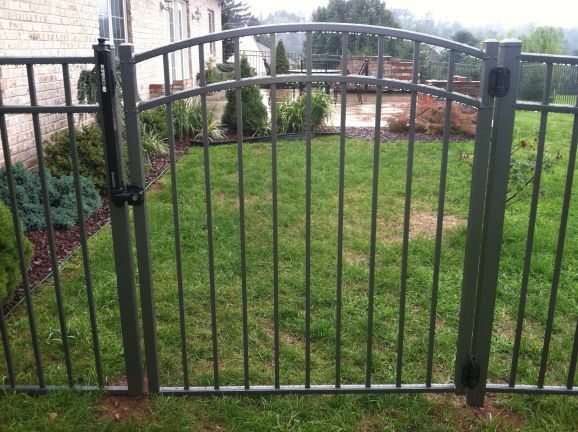 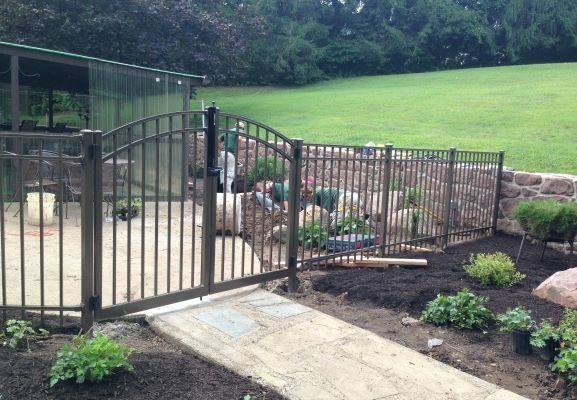 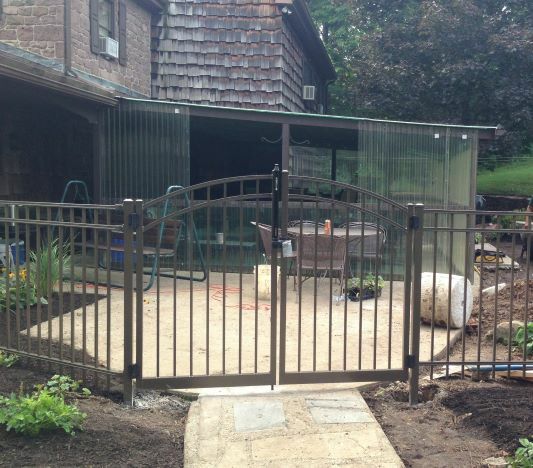 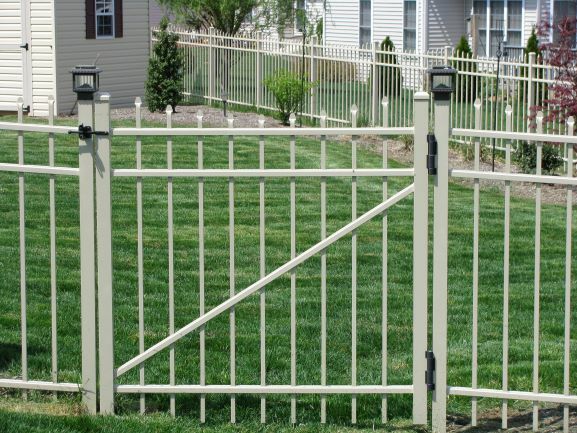 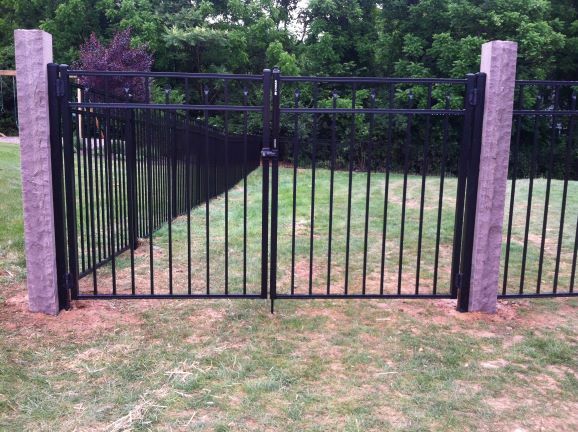 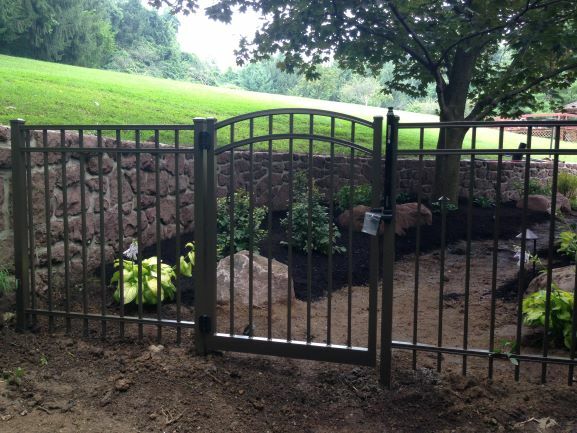 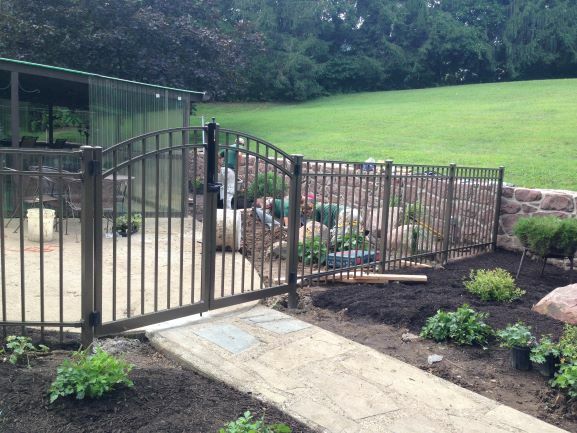 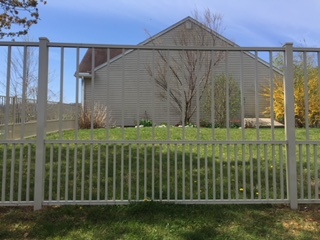 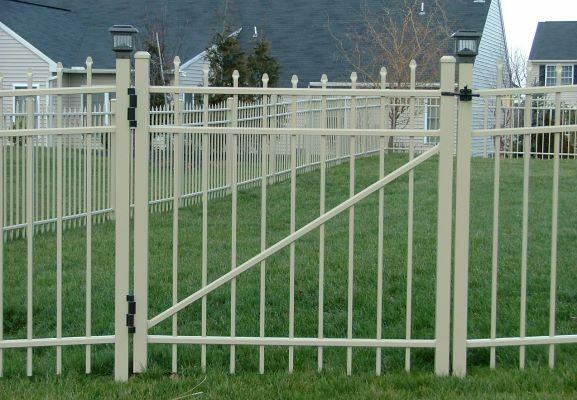 Continuous arch, double swing gate with metal frame; 6×6” gate posts. 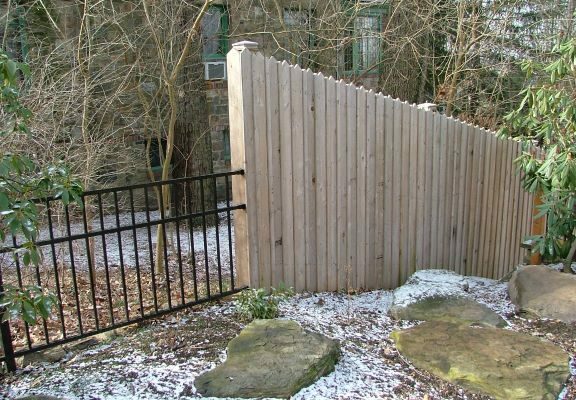 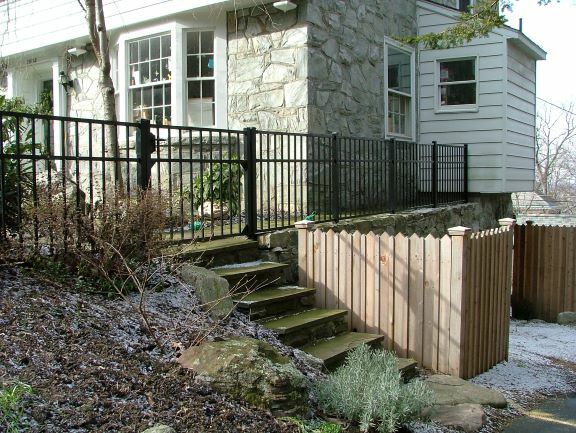 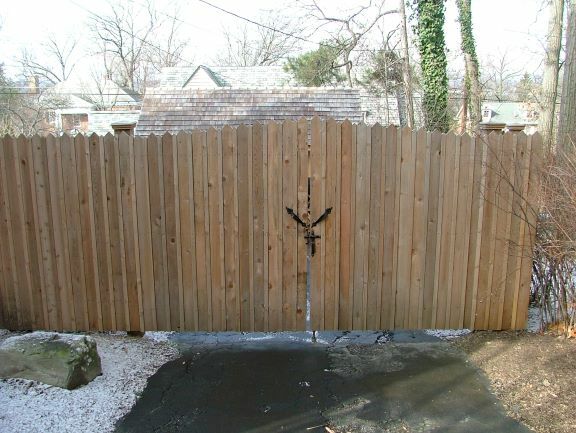 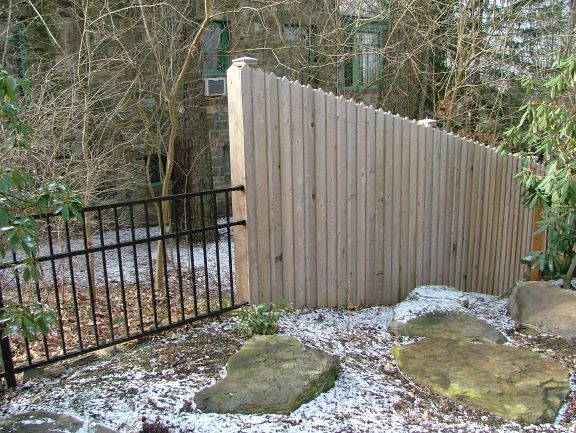 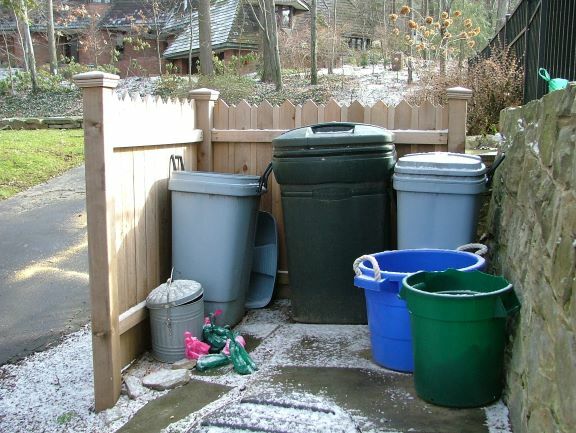 This fence includes a 4’x6’ trash enclosure. 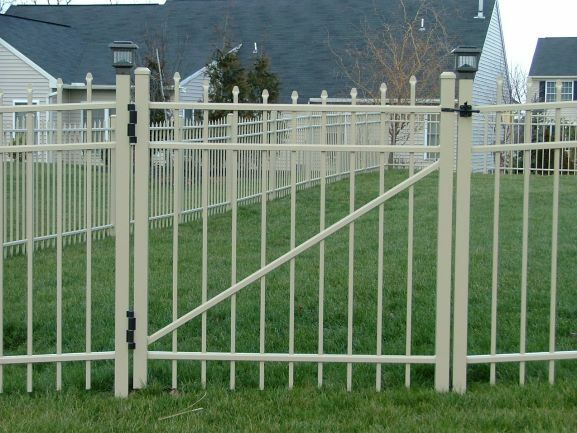 This is a Regis 3131 in Gloss Beige concave with pressed spear topped pickets. 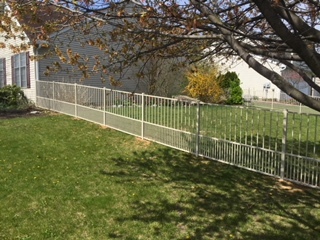 Sections are 6’ long by 4’ high. 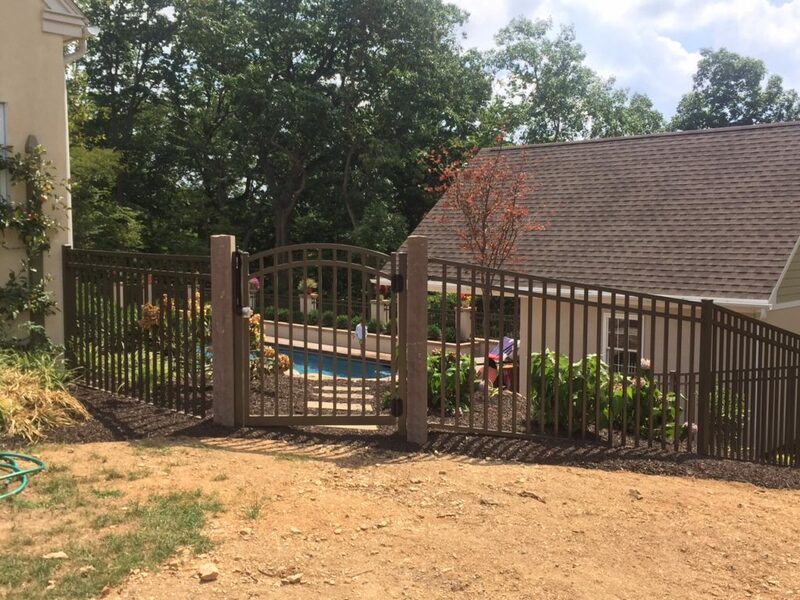 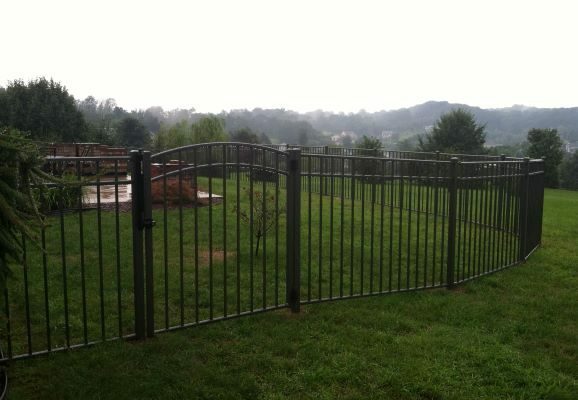 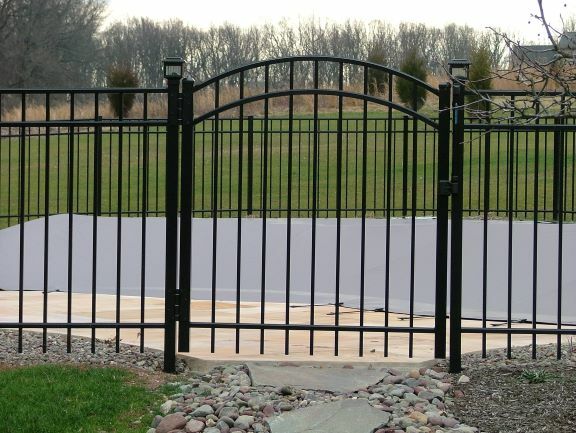 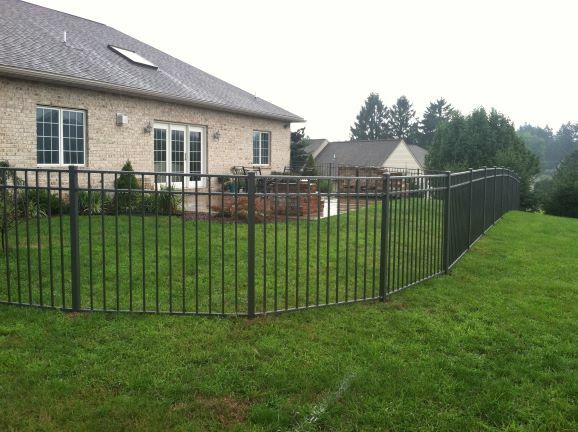 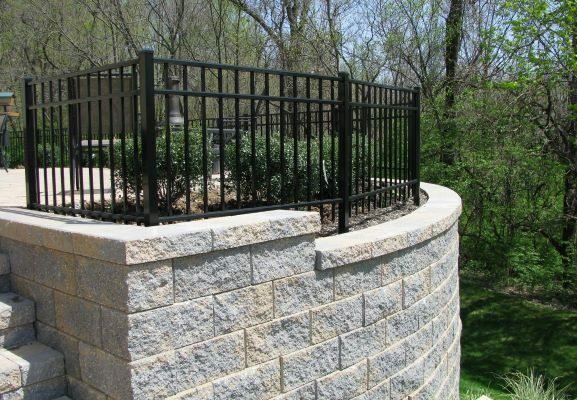 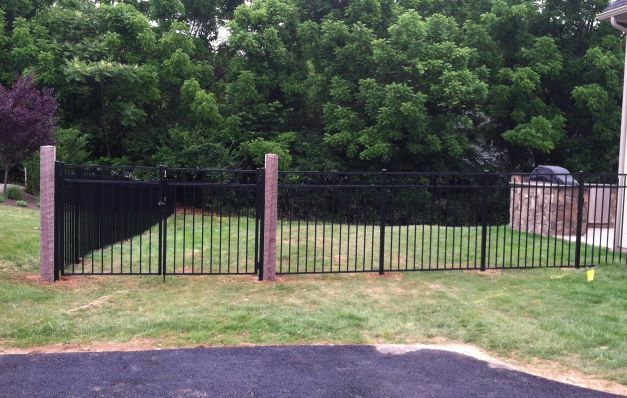 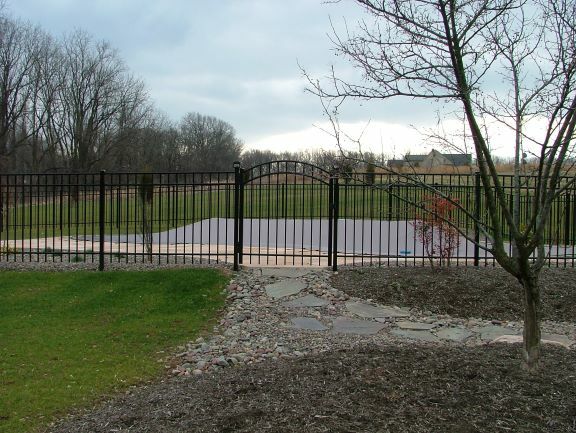 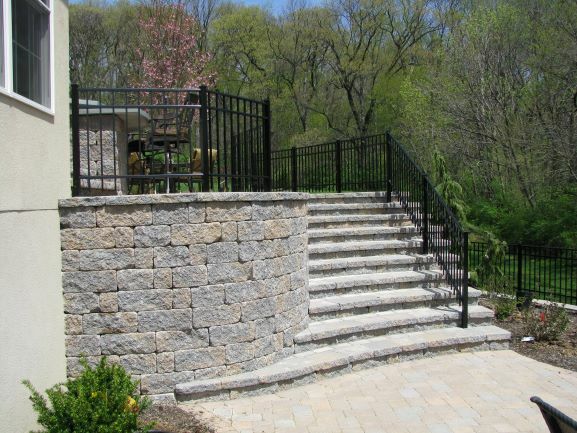 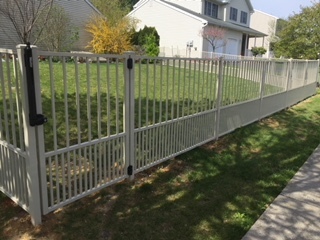 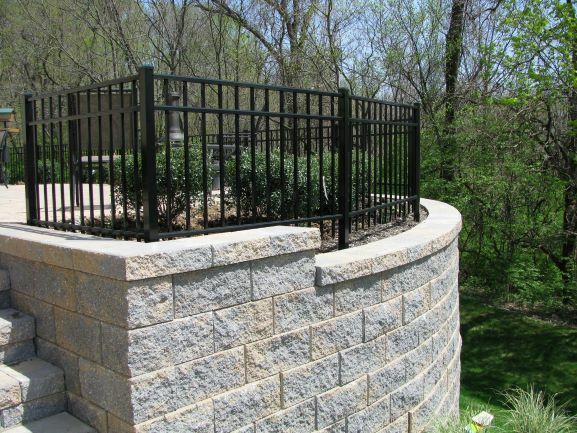 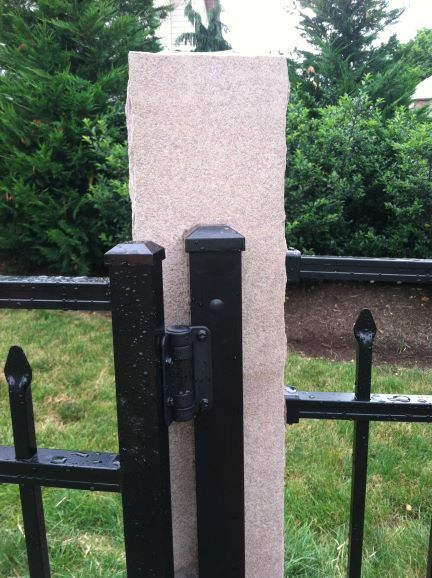 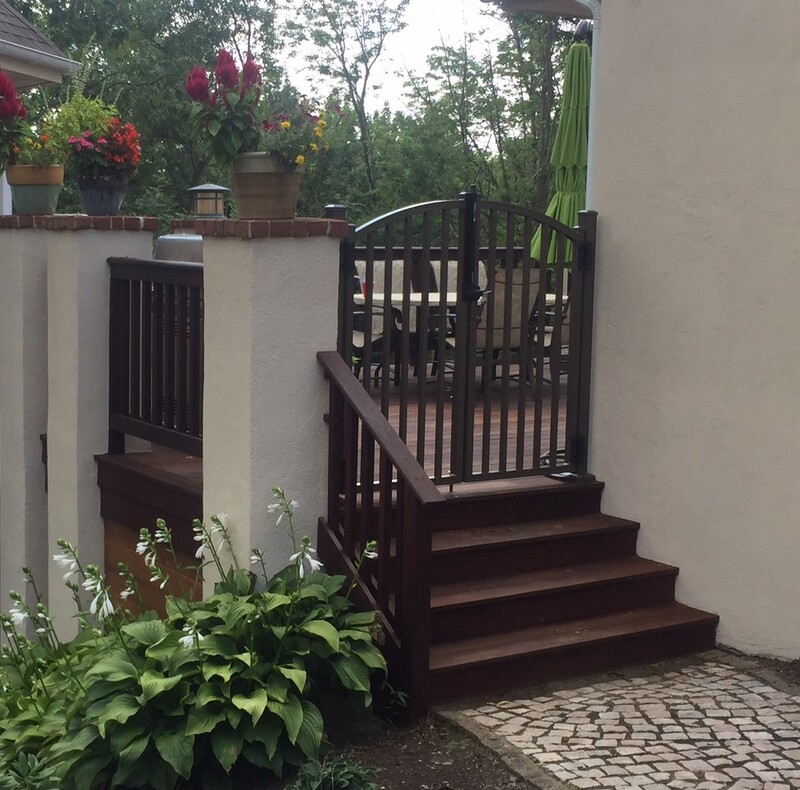 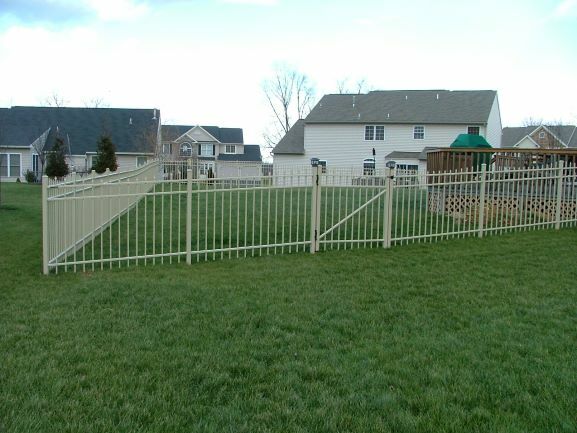 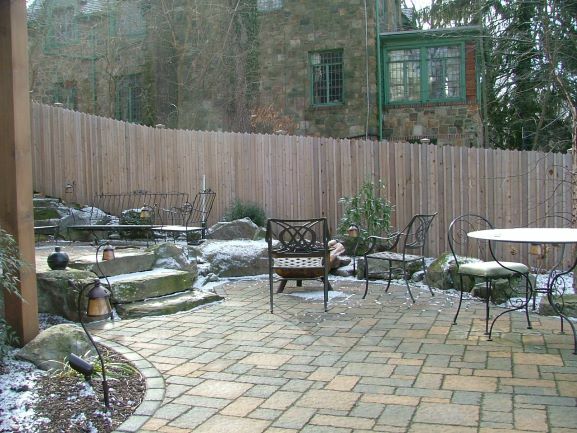 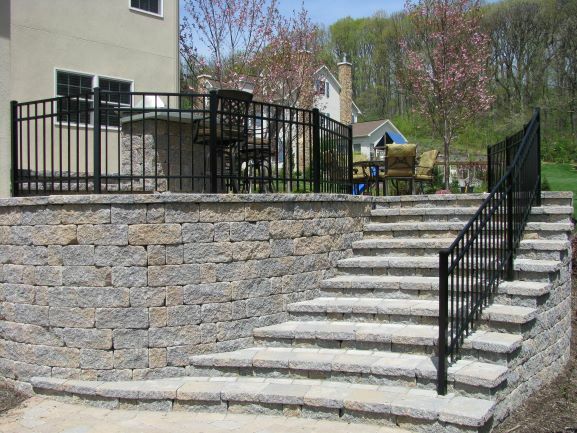 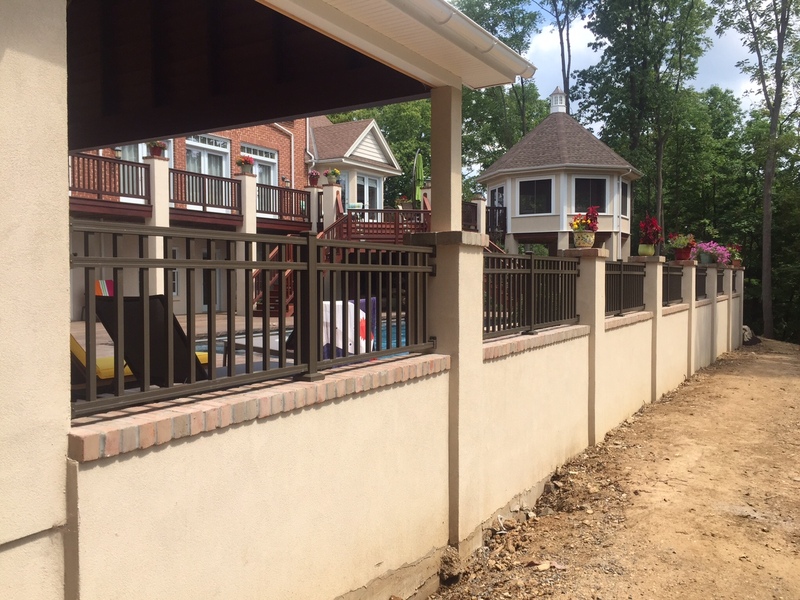 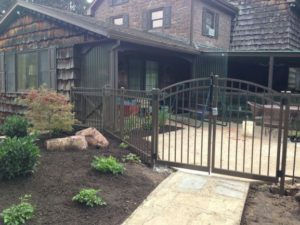 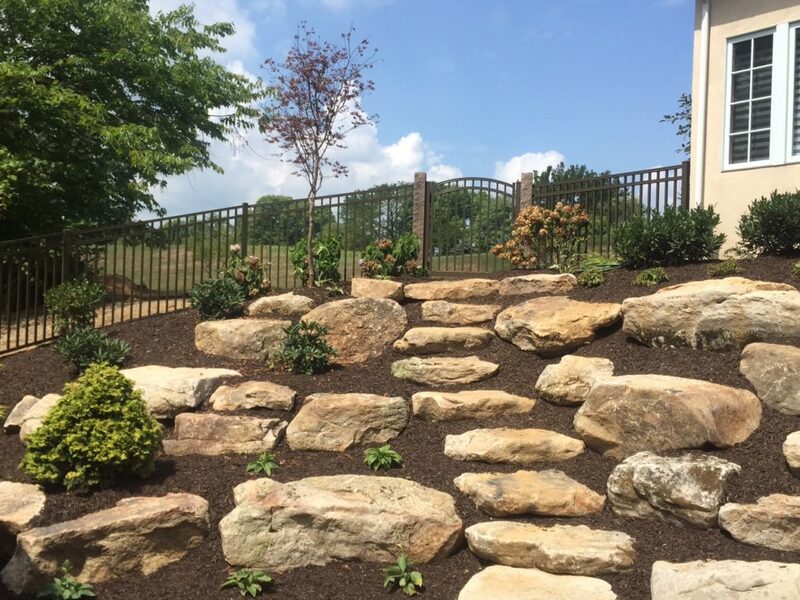 Includes 2- 4’w gates and Bronze Polaris solar caps on gate posts.